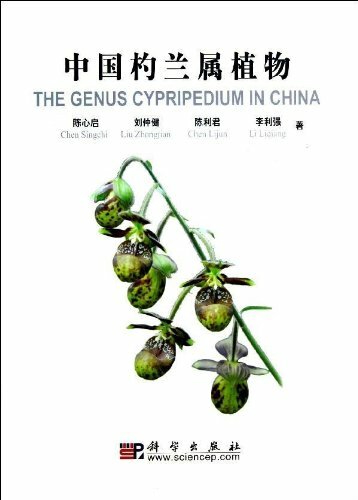 China is rich in Cypripedium resources, represented by 37 native species and some infraspecific taxa, accounting for 70 percent of the total 51 species recognized in the genus.The present book is mainly a taxonomic treatment of Chinese species based mostly on living material. The authors began writing The Genus Cypripedium in China and making field observation of the native species some five years ago. Most of the Chinese species treated here have been observed in the wild. They are all provided with color photographs of the plants and their habitats in this book. As to the non-Chinese species, The Genus Cypripedium in China also provide, in addition to a enumeration of them, each species with at least one color photograph. In order to meet the needs of foreign readers, all the taxonomic descriptions and discussions are written in both Chinese and English. The chapters six and ten, as well as a part of the chapter seven, are written in both Chinese and English. These chapters mainly deal with infrageneric classification of genus. In addition, the generic history, morphology, phytogeography, molecular phylogeny, conservation, hybridization, cultivation and propagation are also briefly introduced.